Some of you asked a few specific questions about my book proposal format, so let's just dive straight into that. From what I've seen with other authors and now based on my own experience, the style of the proposal varies. But typically, you include samples of your work and a synopsis of the concept of your book for the potential publisher to read and gauge the quality of your work but also to see if the concept is marketable. You might include social media stats (if relevant - not everyone needs to do this), previous media coverage etc., pretty much anything that would be beneficial to making your case. Once the contract is signed, a few minor details are negotiated if they weren't already. You get an idea of a timeline, one that my agent and I sat down and worked out with the editor at Chronicle Books. You or your agent will work this into your contract to make sure it is down in writing. Sure there might be a few delays here and there but more or less you stick to it. In my case and this is true for almost anyone working on a book, it needs to be feasible and in my case I wanted plenty of time to write, edit, photograph and test the recipes. Once we sorted and mutually agreed and signed the paperwork, I started to work on the book in greater depth. Get organized and set personal goals. I found creating a personal timeline to help me a lot when it came to staying on track. Attack the content of the book through the outline. For example: if you have four recipes that use persimmons in your book, work on them all at the same time. It makes it easier and more cost effective. You could also plan to work on an entire recipe chapter at the same time and then move to the next. There are lots of different strategies here, work according to what is best for you. Take breaks as needed. I can't stress the importance of this. Not only does it give you a moment to reenergize but it also helps bring in a fresh perspective. Read something other than food. Once I was in my writing bubble, reading and researching, I found myself needing a pause from anything food related, so I turned to travel magazines and stories on movie history. I even read a few books on Scandinavian folklore. I spent a lot of my time starting out with paragraphs that never made it to the final edit. There were thoughts that felt interesting at first but when put on paper didn't really fit with what I was trying to convey. Thank goodness for Word Processors or I'd be sitting in a sea of crushed papers on my floor and pulling my hair out. Writing is what took the most time during the book process. I spent as much time as I could writing and editing my work, it pays to go back and forth and look for errors, reading sentences aloud to make sure they comprehend well. Sure it goes off to the editors at the publisher at a later point who will make notes and ask questions but you want to make sure it is as polished as possible. Typically there are quite a few editors involved (this was new to me and I hope I got all of these right); so far I know of my main editor, a copyeditor, a recipe editor and a managing editor! An author once gave me a a very valuable piece of feedback, ask a couple of friends whose opinion you value, to read the manuscript and hunt for errors. It's easy for your brain and eyes to get tired and numb to your own manuscript so it helps to get a fresh perspective. A lot of ideas or sentences that I originally started out with got tossed out. They first sounded great but eventually over time as I reread and thought about them a little more, they either didn't make sense or didn't feel cohesive with the book. That's normal and a part of the process and will help you hone your work. Fellow Oakland writer Dianne Jacob is a prolific writer and has written a book on food writing - "Will Write for Food" is a good one to read (I own it). Her blog has a lot of useful interviews from other authors and people involved in the food media business. The Recipe Writer's Handbook - I own this book and have learned a lot about the basics of recipe writing from it. Be aware though, your publisher might and probably will recommend and use their own style guide for recipes. Take a stab at books and magazines you've admired and enjoyed reading. They don't necessarily have to be food all the time. Above all, just remember to relax and have fun when working on your book. Sure it takes hard work and effort but take a moment to remind yourself why you're doing it and enjoy it as much as you can. As always, if you have specific questions on the book process, feel free to leave a comment below or send me an email. Also, I've updated the Book Page section to include my PreBook Release Tour Dates. 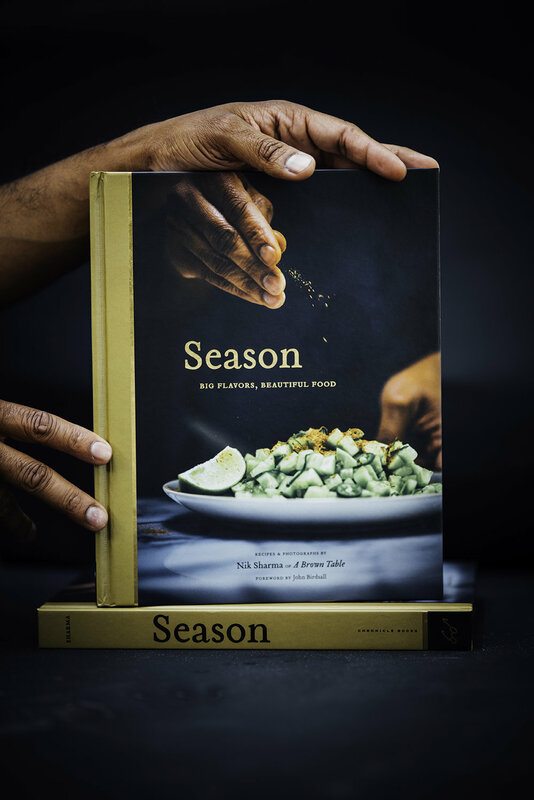 I'll be in NYC next month at the IACP Conference with Deb from Smitten Kitchen, Yossy from Apt2B.Baking and Michael Harlan Turk to talk about cookbook authors that photographed their own cookbook and later in March in LA at the Food Book Fair.